May be a novel gestational hormone required to compensate for absence of other members of the GH/CS cluster during gestation. 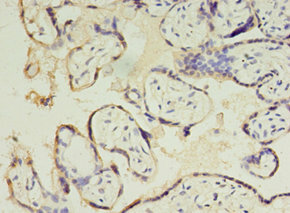 CSHL1 Polyclonal Antibody. Unconjugated. Raised in: Rabbit.